June’s Recipe of the Month has been created by yours truly! I decided to showcase one of my favorite hot sauces that we sell. 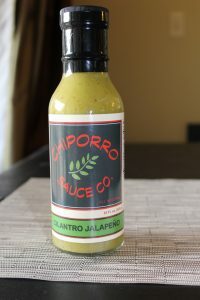 This sauce is full of flavor without burning your taste buds off and it is produced locally here in Boulder Colorado. Add all ingredients in a slow cooker (except for chicken) and mix. Cook on low 8 hours. Remove chicken and shred into bite size pieces. Add bottle of Chiporro to a small sauce pan. Turn heat to medium low. 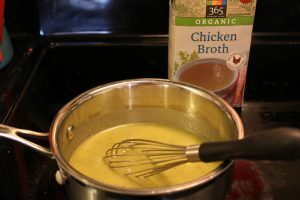 Add 1/4 cup chicken broth to sauce pan with Chiporro. Remove from heat once warmed. 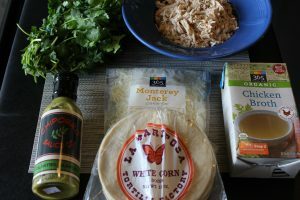 Fill corn tortilla with a large spoonful of chicken. Add a small spoonful of cheese. Roll up tortilla with the filling inside. 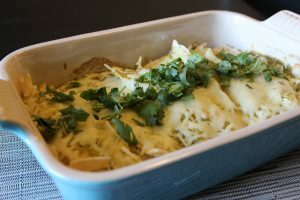 Add enough enchilada sauce to the bottom of a baking pan to cover. 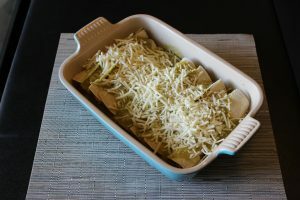 Place tortilla roll ups in a baking dish (9×14) or two (7.5×11). Repeat until all the tortillas are used up. Pour the rest of the enchilada sauce over the rolled up tortillas. Making sure to coat them all. Remove from oven and let stand for about 5 minutes. Garnish with fresh chopped cilantro, if desired. 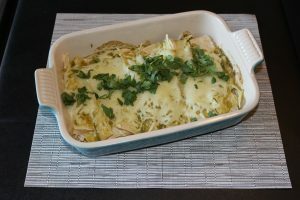 Hope everyone enjoys this recipe and come back next month to check out July’s Recipe of the Month!